The shell exploded in empty territory near Tel Fares, causing no casualties or damage, is probably Syrian civil war 'spillover'. 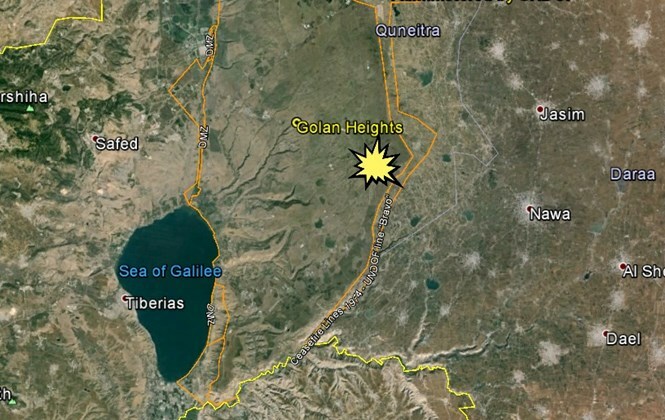 A mortar shell fired from Syria exploded Monday morning in the Israeli Golan Heights, near Tel Fares. The shell blew up in empty territory, causing no casualties or damage. An initial check indicates that the shell was not fired at Israel intentionally, but is part of the unintended “spillover” from the Syrian civil war. In a similar incident, on December 2, a mortar shell fired into Israel from Syria landed 50 meters (160 feet) from a house in the Israeli Druze town of Majdal Shams in the Golan Heights and caused no injuries or damage. A few days later, a bomb was detonated along the Syria-Israel border as patrolling troops passed by, but there were no casualties. 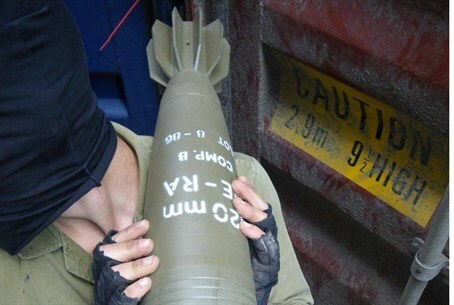 An investigation of the latter incident concluded that "the explosion was caused by a concealed explosive device deployed against Israeli soldiers," a statement said. In October, two Israeli soldiers were slightly wounded when a mortar shell exploded in the northern Golan Heights.